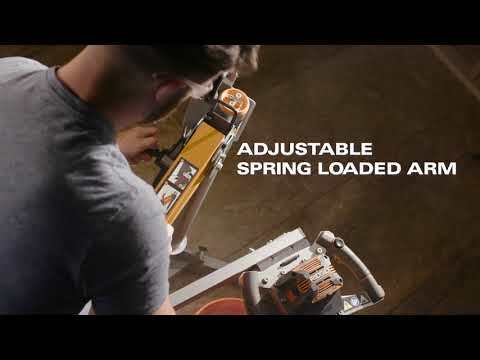 The RIDGID programmable dual-paddle mud mixer is the industry's first smart mud mixer. Save time, energy, and money by letting the RIDGID Mud Mixer do the mixing for you. Just add your material to a 5 gallon bucket, match your material type with one of 7 different material settings on the mixer and press the start button. Just return when you hear the buzzer. The dual compatibility mixer operates on a stand or manually off the stand. Built with a foldable compact design, the stand can be easily transported to and from the jobsite. What is the travel distance from low position to highest? Trying to determine the usable bucket heights this will accommodate.